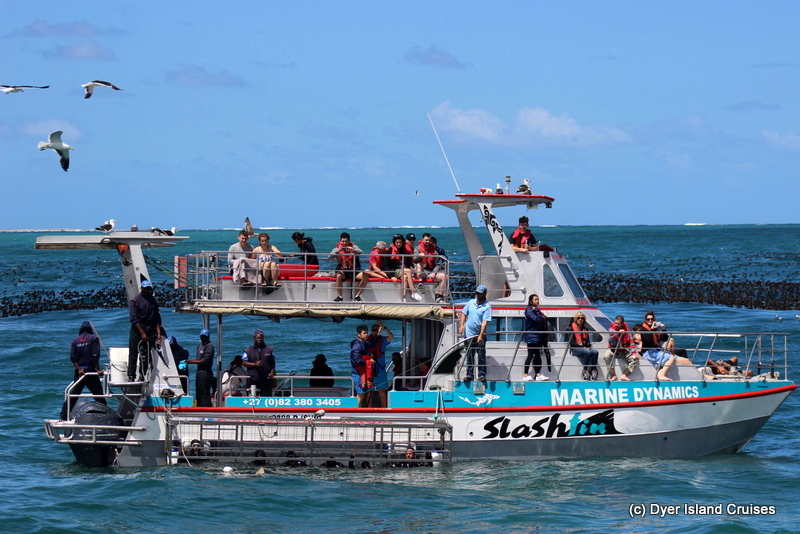 We had an adventurous time on our eco safari today, moving through the swell in search of some ocean life. Just before noon, we set off out of Kleinbaai harbour, making our way straight towards Jouberts Dam where the shark cage diving boats could be seen from a distance. We wanted to catch up with our sister company to check out a Copper Shark or two, and after 10 minutes we found ourselves lying adjacent to Slashfin. 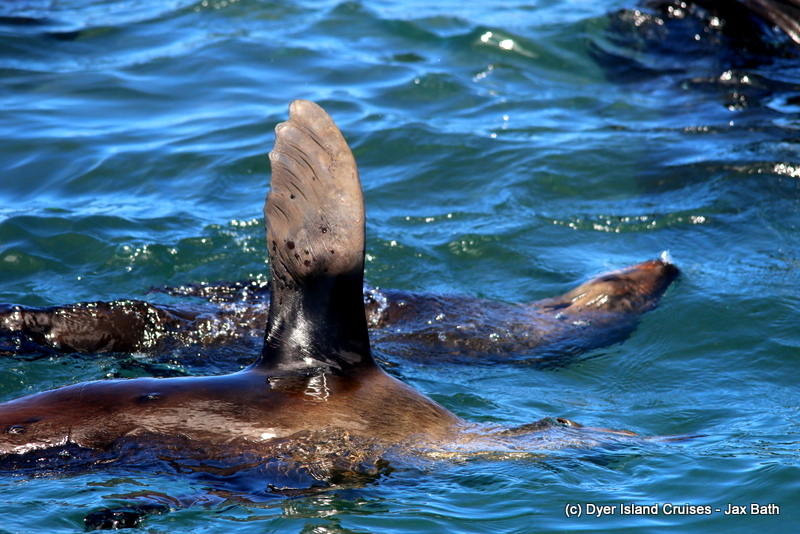 Shark activity was cooking, and we got some great views of these golden predators. We also got to see a Jellyfish here, but the highlight was definitely an adult Cape Fur Seal who brought up a Shy Shark from the depths. The shark was curled up in the mouth of the seal, so at first, we believed it might be a puffer fish. Later however, we got a view of the shark when the seal dropped it, which was a little strange as she seemed to have lost interest in her meal. 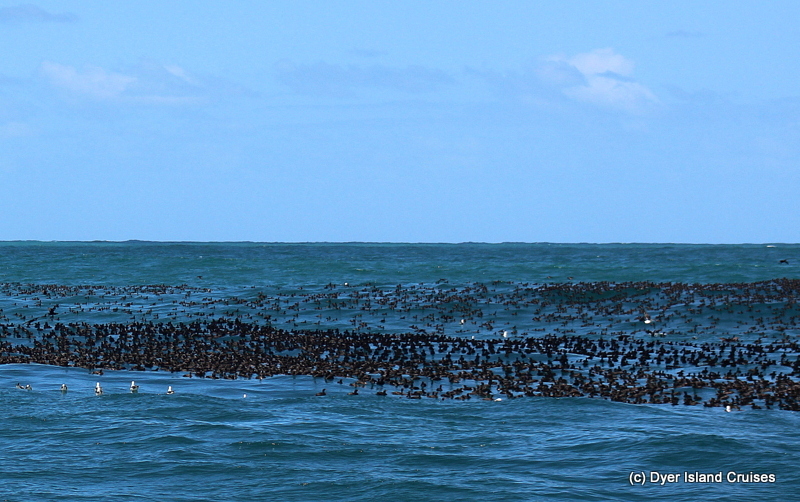 Here, we also got to see thousands of Cape Cormorants who had descended on the water in search of a meal of their own. Once we had finished up here, we did a loop around the bay to check out for some other wildlife. 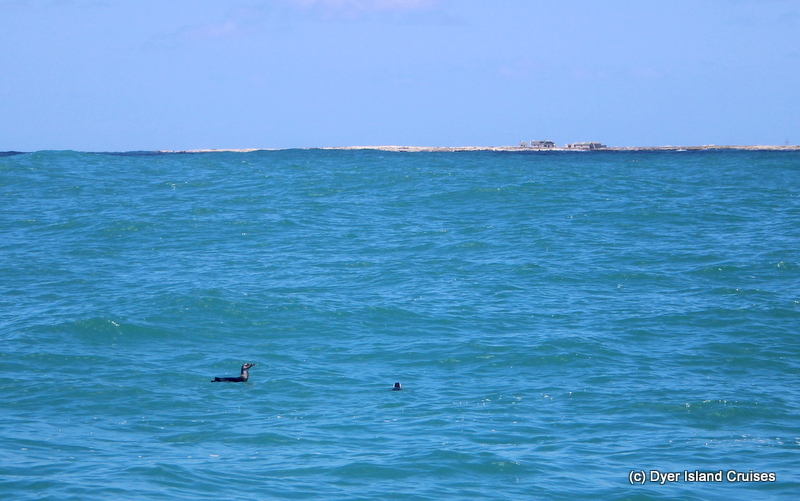 We picked up a piece of kelp to pass around and on the way to the island, we spotted two African Penguins in the water. These birds were super relaxed and we got to travel with them for ages, much to the delight of the penguin lovers aboard. One was an adult, and was a juvenile, which we call baby blues. 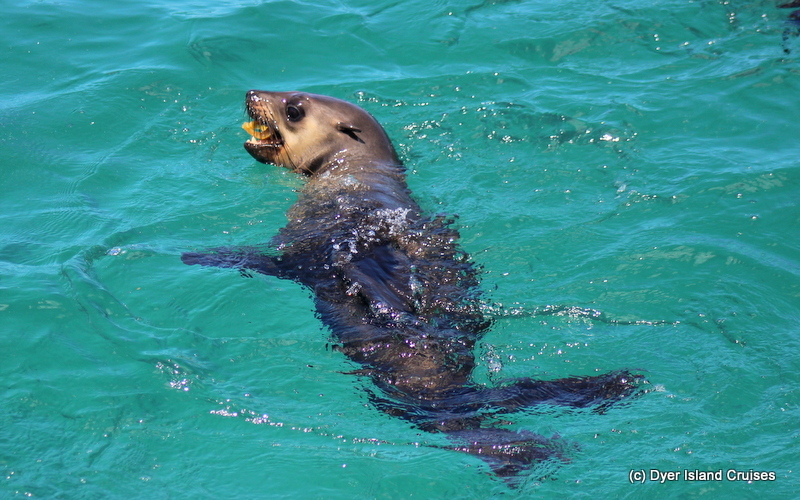 Next time, we took a mild rollercoaster ride over into Shark Alley for some Cape Fur Seal fun time, playful and clumsy as ever, we had a ball here as we watched the seals show themselves off by jumping out the water. 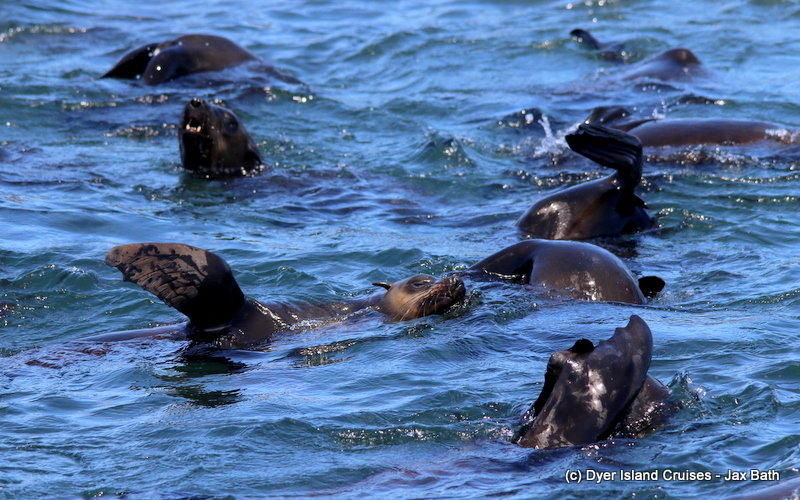 The island itself was also pretty full today, with most of the seals taking it easy on their Saturday afternoon. After spending some time here, we moved into slightly deeper water to see if there was any other life out, before making our way back into Kleinbaai harbour . A Cape Fur Seal playing with the stipe of our Sea Bamboo plants. 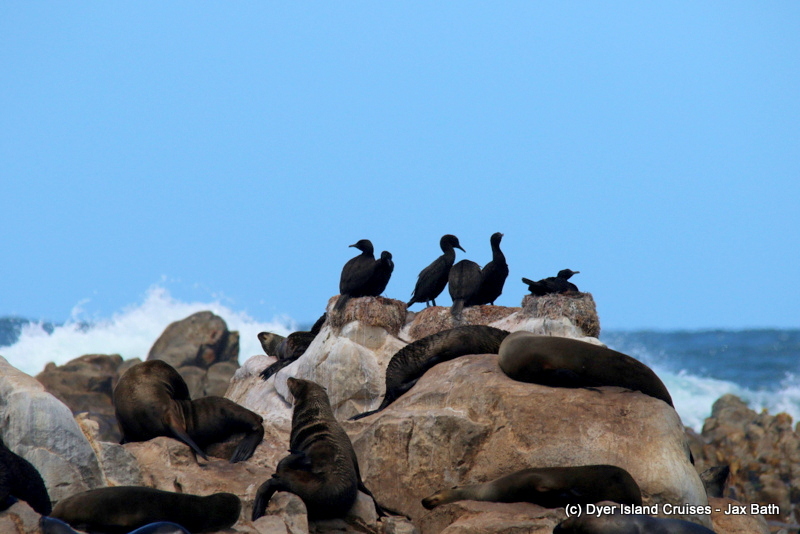 Endangered Bank Cormorants sitting on Geyser Rock, one of 4 different cormorant species found in the area. Our Cape Cormorants. Sometimes we’re lucky enough to see mega flocks. Other days, we get to smell them! Slashfin over in The Shallows. 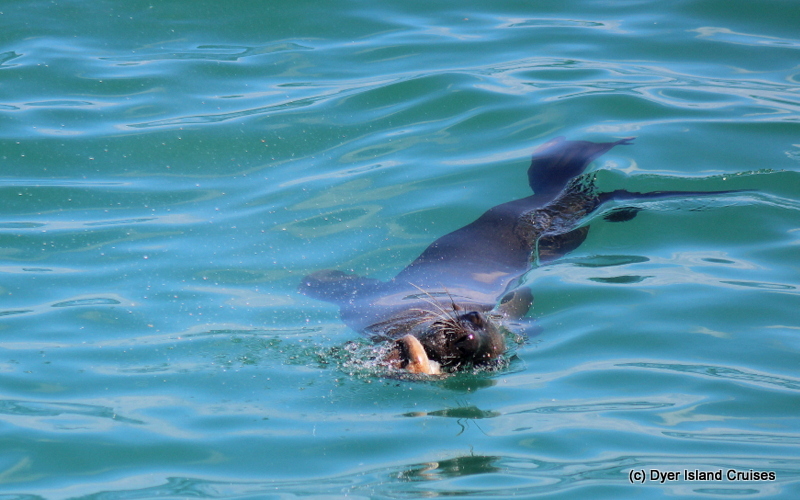 A Cape Fur Seal attempting to predate on a Shyshark. Africa Penguins in front of Dyer Island. With a local population of 60,000, it's no wonder our guests capture so many photographs of these wonderfully playful marine mammals. As one of only 17 penguin species left in the world (and the only one on the african continent), the african penguin often breed in offshore colonies, such as Dyer Island.